Our 500-hour Advanced Yoga Teacher Training (RYT500) is designed for those students who are already registered at the 200-hour level with Yoga Alliance who wish to deepen their practice and teaching for intermediate and advanced Hatha Yoga classes. The 500-hour Yoga Teacher Training with Body Balance Yoga is a quality, comprehensive training will deepen your practice and prepare you to teach with both confidence and compassion … all while intertwining Jenny Otto’s knowledge of yoga therapeutics that incorporates present day wellness and medical research. Honoring the richness of all lineages, our 500-hour program draws on multiple teachers from many traditions, disciplines and perspectives to expand your horizons. There is tremendous value hearing multiple voices – each coming at the same topic from obscure, obtuse and challenging angles. World-class teachers go beyond simple rhetoric and text book content. They share their personal discoveries. Over the centuries, yoga has re-affirmed one thing – the entire system is designed so that the student surpasses the teacher. Each generation adds a new dimension to what they were taught while maintaining a deep respect and honoring of those who have paved the way. Our RYT500-hour program is designed to foster a strong sense of community across all traditions. Over the course of a year, you will navigate your way through this program with a collection of seekers like yourself. 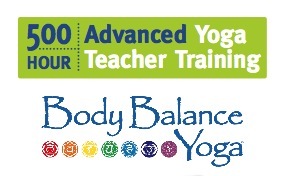 Graduates of this training are eligible to register with Yoga Alliance at the 500-hour level (RYT500). Also see this link ? www.RYT500.com ? for more information on the RYT500-hour program.